Inspired by the Art Deco era, the Bijoux Pendant by Rugiano Interiors harks back to the golden age of glamour. 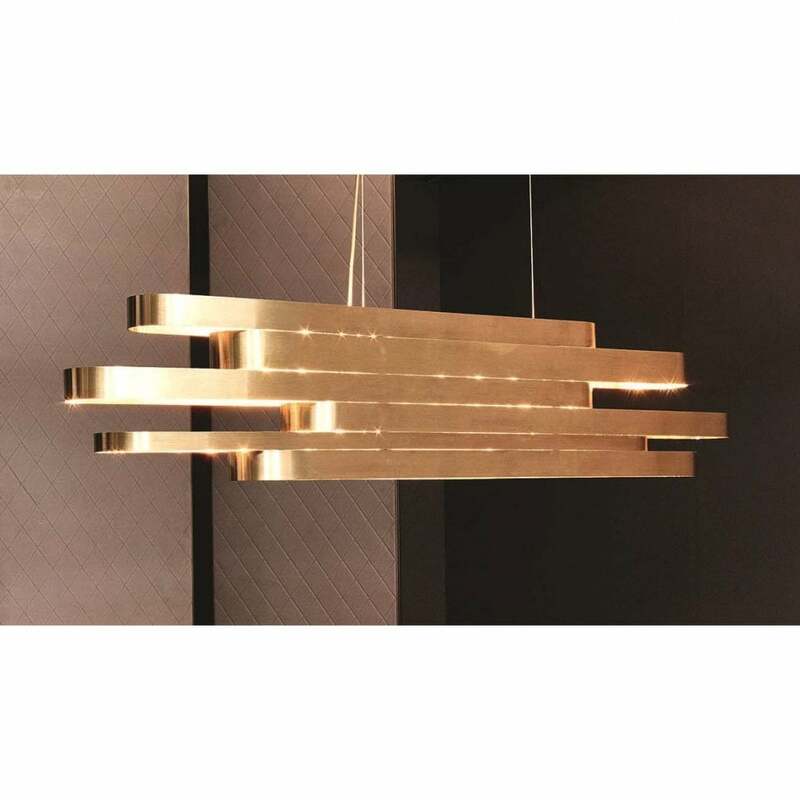 Crafted from polished brass, the pendant features a stacked design that feels both timeless and contemporary. Position above a dining room table or centre stage in a bedroom scheme to add an unexpected modern touch to a more traditional space. A statement pendant is an easy way to update your look. The metallic cords can be adjusted to suit the ceiling height and scale of the space. Get in touch with our team for more information.